Product categories of Pillow Box, we are specialized manufacturers from China, Pillow Box, Pillow Gift Box suppliers/factory, wholesale high-quality products of Kraft Pillow Boxes R & D and manufacturing, we have the perfect after-sales service and technical support. Look forward to your cooperation! The Pillow Box is available in different sizes and colors. 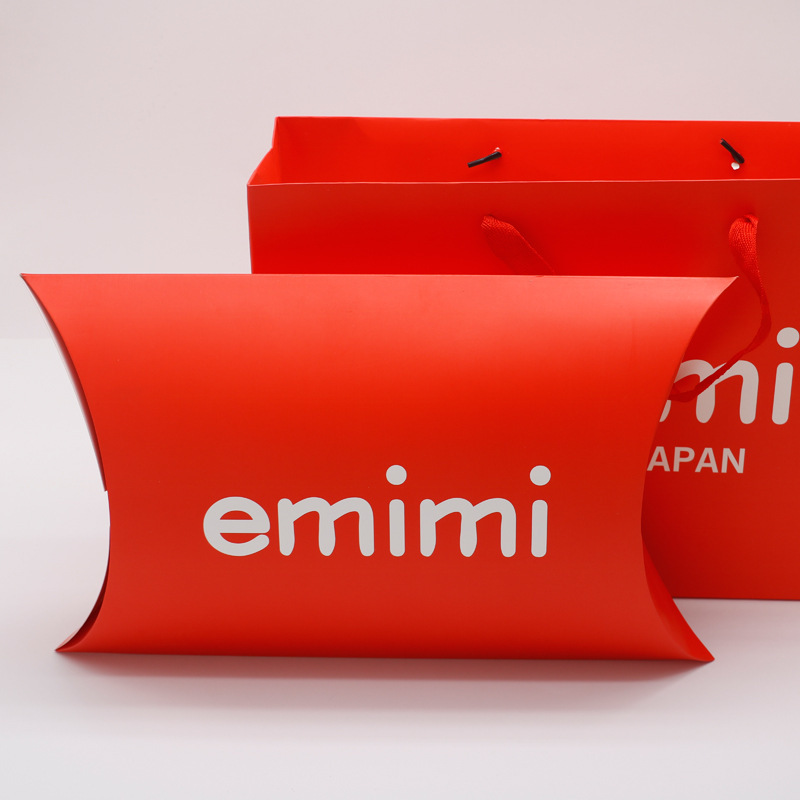 The paper pillow boxes are always made from sturdy white card, coated paper or Kraft paper. Their flaps are designed to keep boxes secure without the need of Adhesive Stickers, and to save much space and shipping cost when sending out. The pillow boxes also assemble easily, making them useful, functional, and convenient.